Posted by James Hammerton @ 6:49 pm on 7 March, 2010. Categories privacy and surveillance, democracy and the rule of law, British politics, the database state. Over at my personal blog, I argue that Gordon Brown is wrong to use the Jeremiah Sheridan case to justify retention of those arrested, but not convicted of a crime. Banned from working with vulnerable people because the ISA thinks you’re lonely?! Posted by James Hammerton @ 8:49 pm on 28 February, 2010. Categories privacy and surveillance, democracy and the rule of law, British politics, the database state, culture of suspicion. Controversially, managers have also been told to pass on names of staff they have prevented from working with vulnerable people for fear they could “pose a future risk” - even though no incident has occurred. Guidance seen by The Sunday Telegraph, which has been given to more than 100 case workers at the ISA reveals that those referred could be permanently blocked from work if aspects of their home life or attitudes are judged to be unsatisfactory. It says case workers should be “minded to bar” cases referred to them if they feel “definite concerns” about at least two aspects of their life, which are specified in the document. It means, for example, that if a teaching assistant was believed to be “unable to sustain emotionally intimate relationships” and also had a “chaotic, unstable lifestyle” they could be barred from ever working with children. If a nurse was judged to suffer from “severe emotional loneliness” and believed to have “poor coping skills” their career could also be ended. ISA’s case workers, who have no minimum qualification or experience, make their decision about whether someone should be barred from working with children or vulnerable adults without ever seeing the person. Posted by James Hammerton @ 5:04 pm on 24 January, 2010. Currently returning officers only require an adult at an address to certify that the people living in the household are over 18 and can vote. However, after July electoral registration officers will be able to ask all householders to hand over three “personal identifiers “ - their signatures, dates of birth and NI numbers - as part of a new “individual elector registration” (IER) scheme, along with names and addresses. There are fears that this could be expanded to include identity cards and even people’s finger-prints because of a special allowance in the legislation used to bring in the change. The new way of registering to vote could be compulsory within five years. A briefing note from the Electoral Commission says: “IER is expected to replace the current practices of household and rolling registration by July 2015”. There are already concerns about the plans. The Association of Electoral Administrators suggested that some of the extra information could be sold to anyone who buys copies of the electoral register. Campaigners questioned whether it was worth the risks of storing this extra personal information to deal with what they said was the relative small problem of electoral fraud. Posted by James Hammerton @ 7:39 pm on 9 January, 2010. Categories democracy and the rule of law, freedom of speech, Irish politics. From today, 1 January 2010, the new Irish blasphemy law becomes operational, and we begin our campaign to have it repealed. Blasphemy is now a crime punishable by a €25,000 fine. The new law defines blasphemy as publishing or uttering matter that is grossly abusive or insulting in relation to matters held sacred by any religion, thereby intentionally causing outrage among a substantial number of adherents of that religion, with some defences permitted. This new law is both silly and dangerous. It is silly because medieval religious laws have no place in a modern secular republic, where the criminal law should protect people and not ideas. And it is dangerous because it incentives religious outrage, and because Islamic States led by Pakistan are already using the wording of this Irish law to promote new blasphemy laws at UN level. We believe in the golden rule: that we have a right to be treated justly, and that we have a responsibility to treat other people justly. 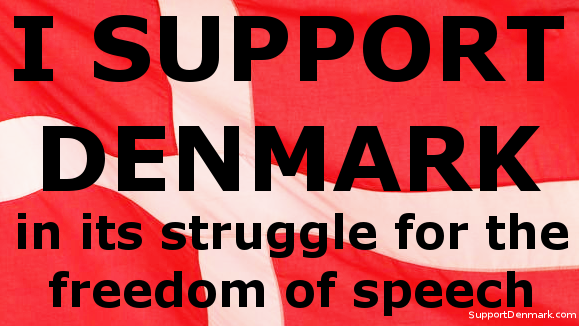 Blasphemy laws are unjust: they silence people in order to protect ideas. In a civilised society, people have a right to to express and to hear ideas about religion even if other people find those ideas to be outrageous. Posted by James Hammerton @ 9:33 pm on 20 December, 2009. Categories democracy and the rule of law, British politics, culture of suspicion. Posted by James Hammerton @ 5:41 pm on 13 December, 2009. Categories privacy and surveillance, political liberties, democracy and the rule of law, British politics, the database state, culture of suspicion. Rules requiring about 11 million people working with children to register with a new agency and have criminal records checks are to be watered down. Schools Secretary Ed Balls has accepted recommendations of a review he ordered into the vetting and barring scheme for England, Wales and Northern Ireland. The checks will now involve only those working with the same children once a week, not once a month, for example. It is thought the new rules will apply to about two million fewer people. The checks, intended to protect children, had caused concern among teachers and parents. This will of course still leave the ISA deciding who can work with children on the basis not merely of people’s criminal records but also “soft intelligence” such as unproven accusations. Even under the revised figures, 9 million adults may find themselves being subject to such vetting. Posted by James Hammerton @ 3:50 pm on 6 December, 2009. Categories democracy and the rule of law, British politics. Shadow security minister Baroness Neville-Jones said: “Control orders deny due process to the defendant, do not provide a reliable remedy to the security problem posed by terrorist suspects, and on top of all that cost hundreds of thousands of pounds. Posted by James Hammerton @ 3:44 pm on . Categories privacy and surveillance, democracy and the rule of law, British politics. The first person jailed under draconian UK police powers that Ministers said were vital to battle terrorism and serious crime has been identified by The Register as a schizophrenic science hobbyist with no previous criminal record. His crime was a persistent refusal to give counter-terrorism police the keys to decrypt his computer files. The 33-year-old man, originally from London, is currently held at a secure mental health unit after being sectioned while serving his sentence at Winchester Prison. In June the man, JFL, who spoke on condition we do not publish his full name, was sentenced to nine months imprisonment under Part III of the Regulation of Investigatory Powers Act (RIPA). The powers came into force at the beginning of October 2007. Posted by James Hammerton @ 6:43 pm on 5 December, 2009. Categories democracy and the rule of law, British politics, accountability, culture of suspicion. Police forces across the country have been warned to stop using anti-terror laws to question and search innocent photographers after The Independent forced senior officers to admit that the controversial legislation is being widely misused. Posted by James Hammerton @ 3:57 pm on 29 November, 2009. The Government has pledged that all 16 to 18 year olds will complete 50 hours of community work as part of its move to raise the school leaving age. In the speech announcing the plan, which will be a Labour manifesto pledge, Gordon Brown specifically mentioned that teenagers would make a difference by “helping in an old people’s home or tutoring younger pupils”. But under the Government’s strict new vetting regime, anyone over the age of 16 working with children or vulnerable adults will have to start registering with the new Independent Safeguarding Authority (ISA) from November next year. Critics of the reach of the controversial new vetting and barring scheme said half a million teenagers a year could be forced to undergo criminal checks. Whilst those whose voluntary work does not involve children or vulnerable adults could in theory escape vetting, in practice it is likely that schools and organisations hosting volunteers will find it easier to take a blanket approach and vet everyone.